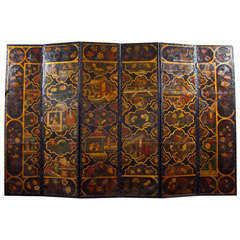 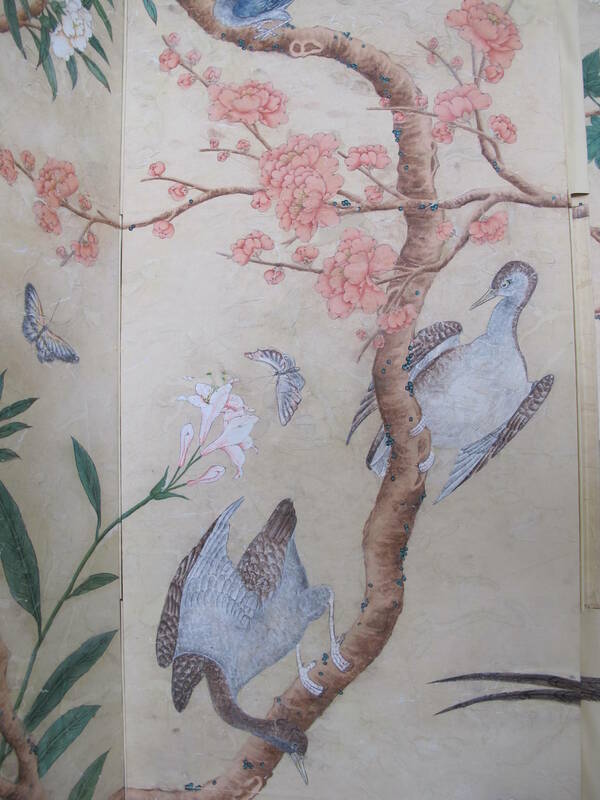 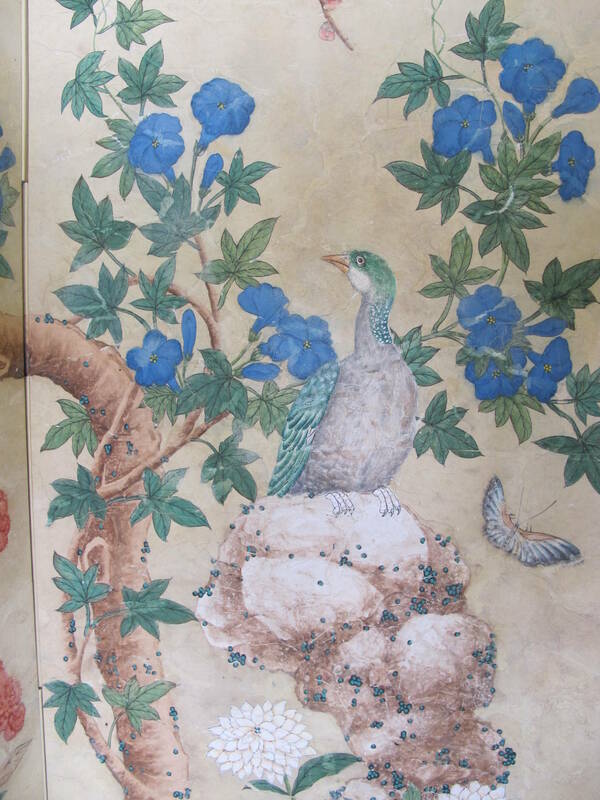 A four-panel screen with hand-painted 18th century style wallpaper applied on each panel. 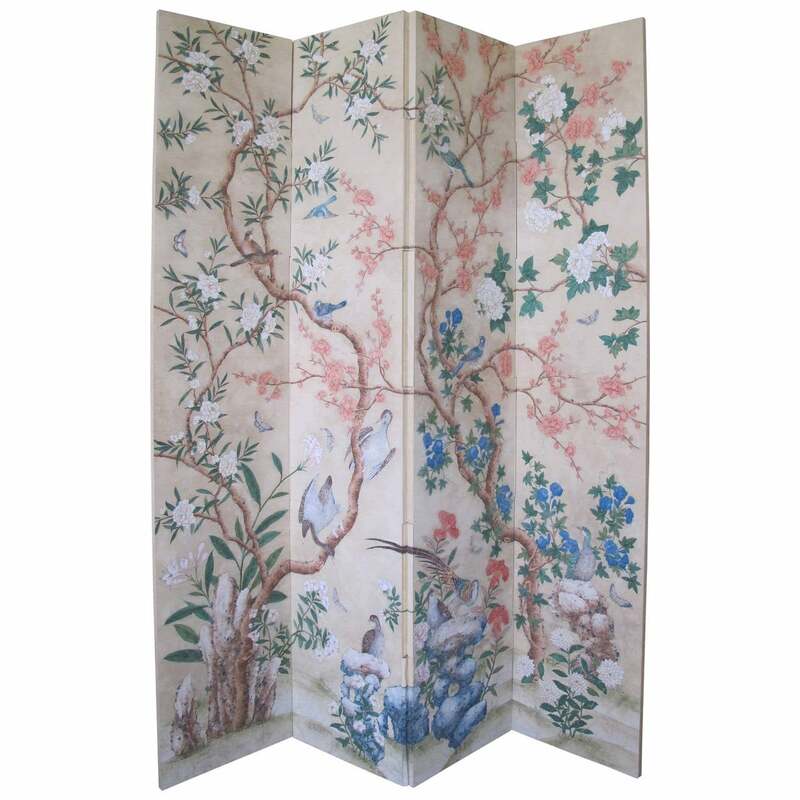 The design features brightly colored flowering trees, birds and butterflies. 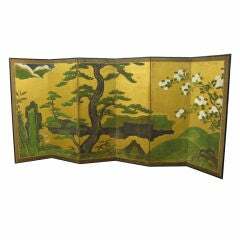 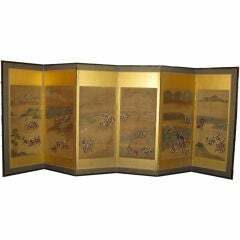 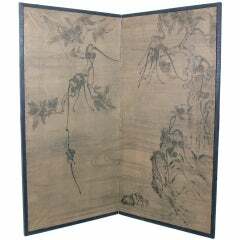 The screen has been intentionally antiqued to create the patina of an antique screen, although it was recently made. 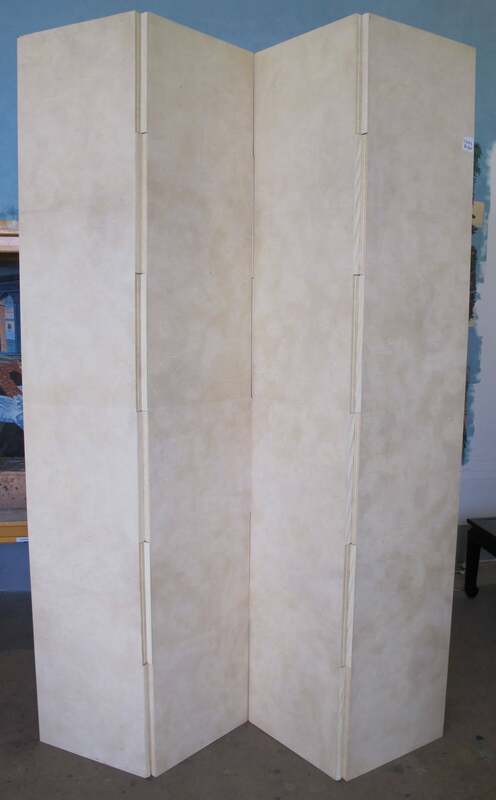 Each panel is 18 inches wide. 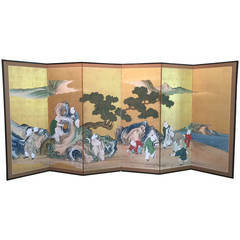 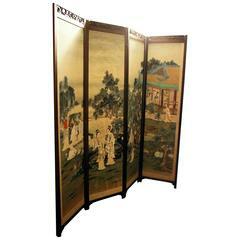 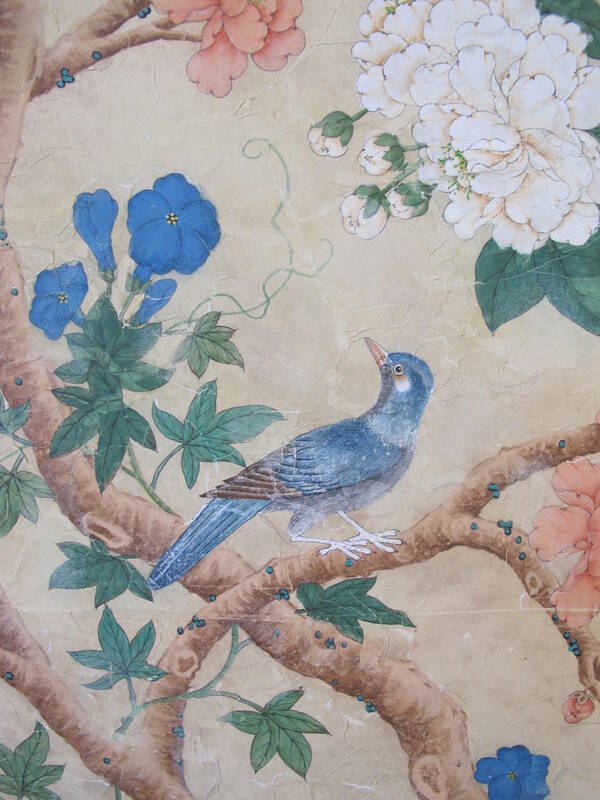 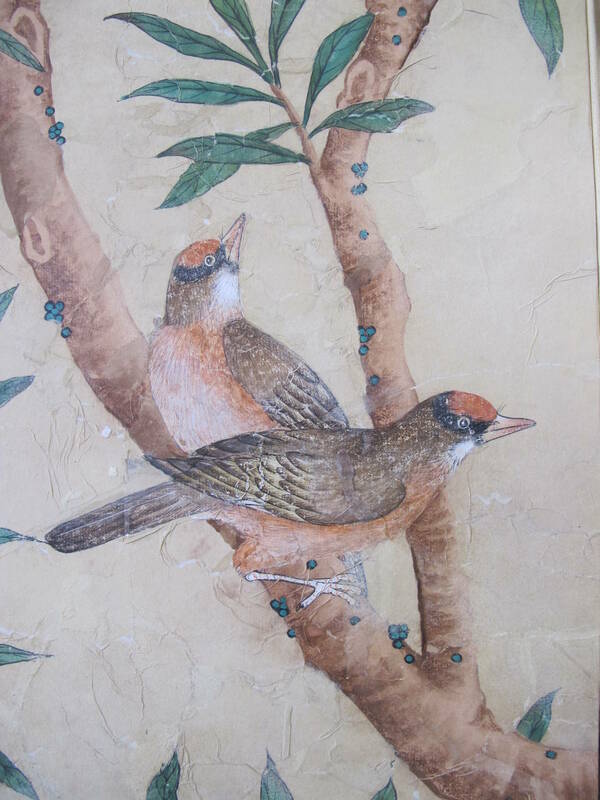 Hand Painted Asian Screen, believed to be circa 1940's, possibly much earlier.